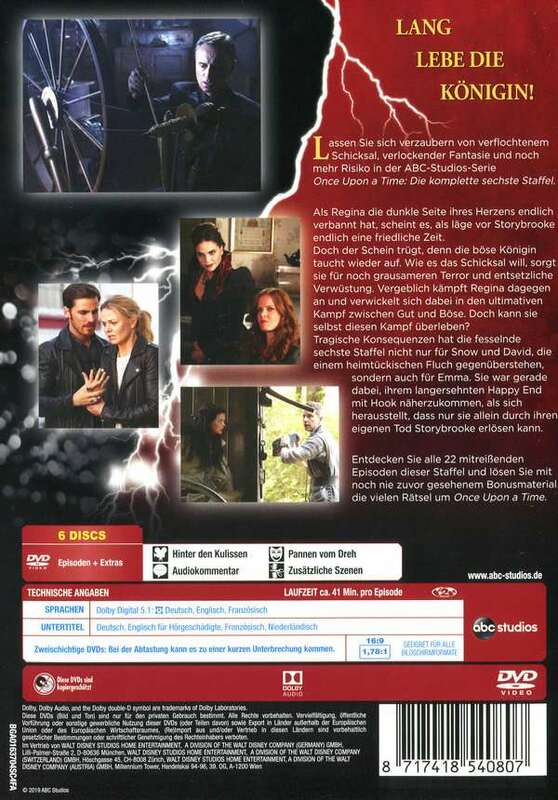 Der Artikel Once Upon a Time Season 6 wurde in den Warenkorb gelegt. Fantasy / TV-Serie (22 Episoden), 909 Min. The complete sixth season of the US fantasy drama which takes inspiration from various fairy tale characters. Moving between our world and a parallel fantasy one, the series follows Emma Swan (Jennifer Morrison), a 28-year-old mother who is believed to have been prophesied to break the curse cast by Evil Queen Regina (Lana Parrilla) which erased everyone's memories in the town of Storybrooke, leaving them frozen in time. In this season, dark powers return to Storybrooke while Emma makes a worrying discovery about her future. 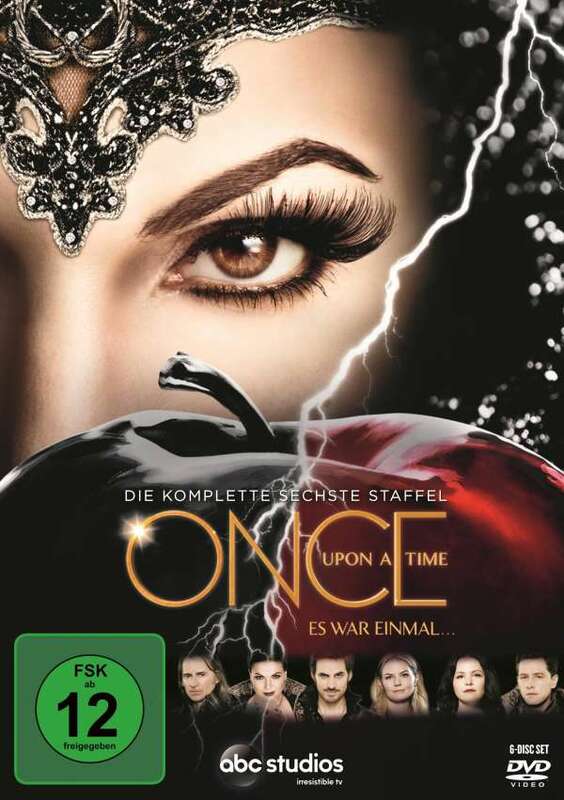 Entdecken Sie alle 22 mitreißenden Episoden dieser Staffel und lösen Sie mit noch nie zuvor gesehenem Bonusmaterial die vielen Rätsel um Once Upon a Time.